Controlled appellation Clay and limestone soils. Located in the Aude Valley, close to the Pyrénées. Cooler climate, milder temperatures and rain falls. Wine-making Cold pre-fermentation maceration. Fermentation is done for one week at controlled temperatures (cooling system). A part of the blend is aged in oak barrels for 6 to 9 months. Character and style Dark ruby color. The nose is aromatic, with scents of black and red berries mixed with flower aromas. This wine is rich, long and complex, and displays fruity flavours (cherries, blackberries, blackcurrants). The Pinot Noir Vin de France of Doudet-Naudin is a wine full of delicacy. Fresh and fruity, it is very pleasant, all in harmony. 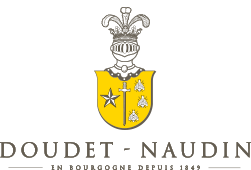 Doudet Naudin, Burgundy fine wines producer since 1849, makes the best use of its know-how to produce this great wine. Ageing and service To drink young. Temperature of service: 14-15°C. This wine accompanies with success many dishes, from the delicatessen, to all the white and red meats but also some cooked fishes and the cheeses.